The city is at its prettiest as the cherry trees are in bloom, and they should still be brightening up the landscape this weekend. The National Mall and Tidal Basin are sure to be teeming with blossom oglers, but braving the crowds is worth it, in my opinion. 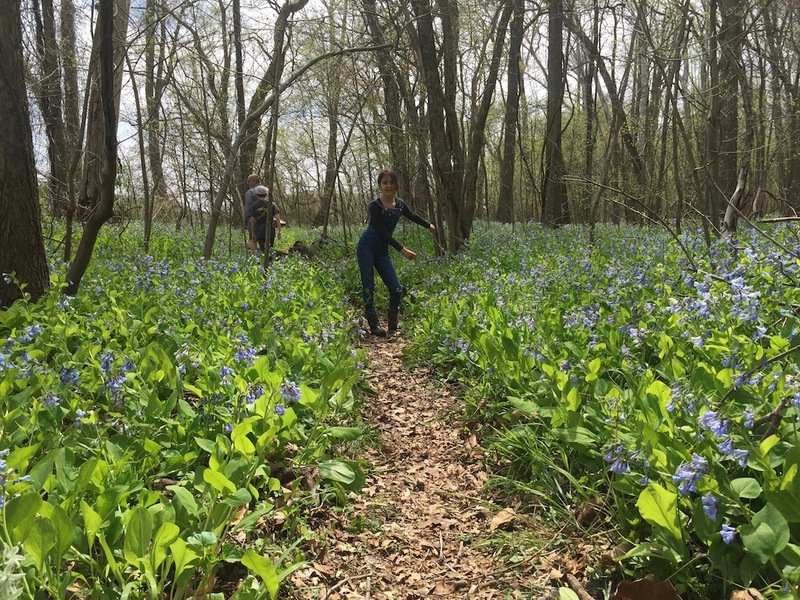 If you’re planning to partake in the peak experience over the next couple of days (or anytime, for that matter), be sure to check out these tips for viewing the beloved flowers before you go. The annual Washington Auto Show has zoomed back into town. And if there’s any “grown-up” event that is equally fun for all ages, this is it. The Auto Show is like a Truck Touch, but with automobiles — hundreds of them — on display for guests to check out. Other activities like Ride ‘n Drives and celeb appearances give guests even more to do and see. There will also be fun especially for kids, including a Family Fun Zone and photo ops with some of their favorite characters along with the sweet rides. The show will be in town through April 14. This post with scenes from last year’s event and this one about of our experiences at a past show has more about what to expect. Baseball season has begun, but you don’t have to go to the ballpark to celebrate it this weekend. On Saturday, the National Postal Museum is hosting a fun-filled family festival to kick off the MLB season as well as the one-year countdown until the opening of their exhibition Baseball: America’s Home Run. Join them for all kinds of baseball-inspired activities — all for free! Visit the Kogod Courtyard and explore how orchids have adapted to variable habitats. Join experts from Smithsonian Gardens, the U.S. Botanic Garden, SAAM, and the National Portrait Gallery (NPG) to celebrate Orchids: Amazing Adaptations. Make a paper orchid while learning about what makes an orchid different from other flowers. See how orchids adapt to their homes and explore homes in various forms in the collections of the American Art Museum and National Portrait Gallery. Then make orchid-inspired art while learning about what makes an orchid unique. Annmarie’s magicalicious exhibit of fairy and gnome houses opens this weekend. As if the sculpture garden near Solomons, MD, wasn’t already wonderful, this annual display adds extra delight to a visit there with more than 75 handmade fairy and gnome homes scattered throughout the grounds. Visit the Arts Building to borrow a costume (or purchase one in the Gift Shop) to get into the fanciful spirit, grab a guide, and start your journey to locate them all. 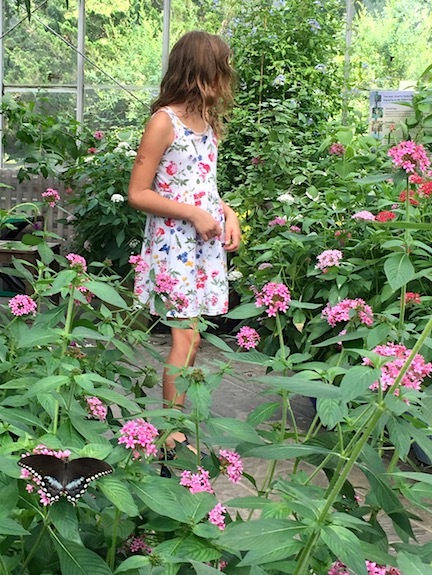 Read more about Annmarie Sculpture Garden and get a glimpse in this KFDC post and this one. Join poet and educator Kwame Alexander who will share inspiration and read excerpts from his newly released picture book The Undefeated. Originally performed for ESPN’s website The Undefeated, this illustrated poem is a love letter to black life in the United States. With references to lyrics and lines originally shared by our most celebrated heroes, Martin Luther King Jr., Langston Hughes, Gwendolyn Brooks, and others, the work offers deeper insights into the accomplishments of the past, while bringing stark attention to the endurance and spirit of those surviving and thriving in the present. The Undefeated brings together race, sports, culture, and art. Kwame Alexander will be joined in conversation with artist Kadir Nelson. For ages 8+. Egg hunts, bunny visits, and more fun to celebrate Easter and the season are happening all around the area. Even if you’re not big on the holiday, there are attractions beyond bunnies and candy-filled eggs for your whole gang. This weekend, enjoy loads of festivities at Ticonderoga Farm, join a Fabergé Egg Family Festival, or go on an Easter treasure hunt. Find details on these and more upcoming events in this round-up of Easter-inspired celebrations. Shake up your Saturday with a workshop at the Folger! These programs occurring on the first Saturday of every month encourage families to experience Shakespeare’s language together. During this session, kids can start their training as a researcher, learn about rare books, and discover what lies between the pages. Includes a mini tour of the Reading Room! Register in advance. Read a KFDC write-up about the Folger here. It’s a full day of live music and engaging activities at The Wharf! Petalpalooza will feature live music on multiple outdoor stages, a beer garden, all-ages activities, product giveaways, a spectacular fireworks show by Pyrotecnico, and much more along the piers of the Southwest Waterfront. 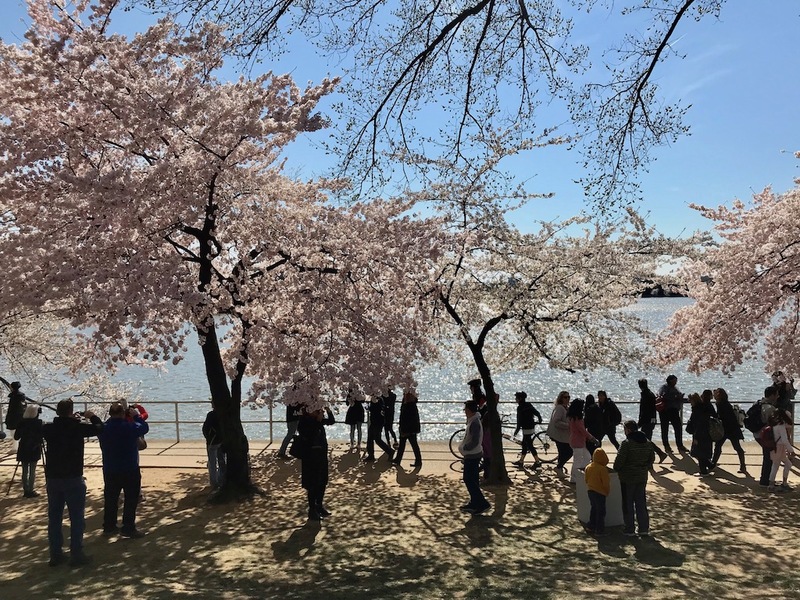 Take in the half-mile-long stretch of The Wharf’s shops and restaurants as the National Cherry Blossom Festival transforms the waterfront community into a one-day-only springtime spectacle. Read more about The Wharf in this KFDC post. Virginia’s most popular touch-a-truck event is fun for the whole family. Climb on the big trucks, meet Redskins legend Gary Clark (10am – 12pm), run out some energy in the back of the Martin’s Potato Roll truck, visit kid-friendly food trucks, and much more! The first 300 kids to arrive will receive a free diecast car/truck with paid admission, and the first hour is horn-free for sensitive ears. The DC Youth Orchestra Program is opening its doors to the public on Saturday, with a day of free musical events for the entire family, featuring a concert by the popular DuPont Brass! At 12:00 pm, DuPont Brass will perform the feature concert in the auditorium. From 12:30-3:00pm, DCYOP staff and teaching artists will facilitate musical instrument petting zoos so that prospective young musicians ages 4-18 can try out orchestral instruments. Throughout the afternoon, DCYOP ensembles will perform pop-up concerts featuring varied repertoire. Vendors from area music stores will also be on site. Join McLean Bible Church as they celebrate the start of spring with a free community block party for the whole family! They’ll have inflatables, games, face painting, Extreme Balloon Shows (11:30am and 1:3pm), a juggling show (12:30pm), and more. Invite your friends, family, and neighbors! Join the museum for their hands-on, drop-in, once-a-month art-making workshop in the AVAM classroom! Education staff will help you explore new creative territory & make a project inspired by one of their beloved visionary artists. During this session, make a 3D sculpture of your family tree, inspired by the current mega-exhibition “PARENTING: An Art without a Manual.” Supplies & boundless inspiration provided, and all ages are welcome. Celebrate the playfulness of spring at the National Building Museum! 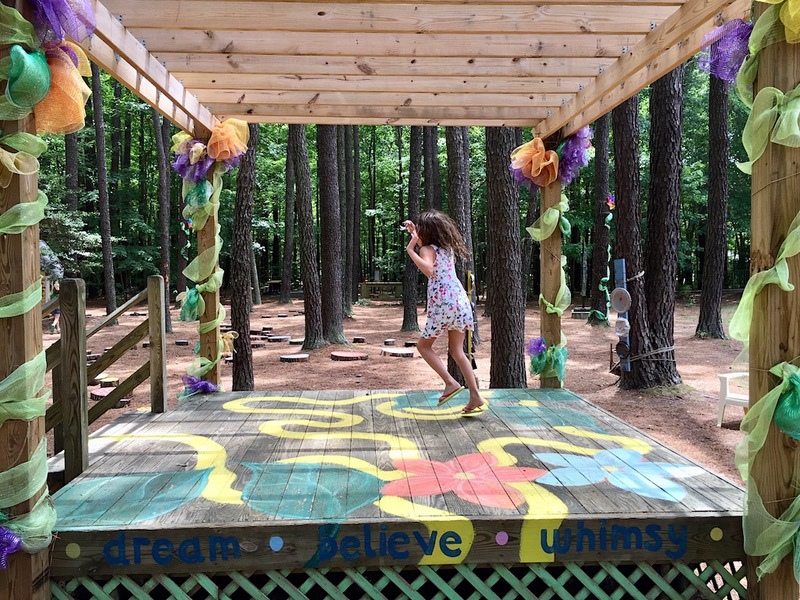 Participate in hands-on activities and learn from community partners as you explore how landscape design can inspire outdoor play to grow and strengthen community. Take a closer look at the green space incorporated into your built environment that gets people outside and brings them together. Drop in for the museum’s wonderful program for children ages 4-7. Art Investigators introduces kids to art and encourages them to make observations and use their imaginations as they discover different works. During this weekend’s sessions, they’ll explore works of Romare Bearden. Read a KFDC review of the program from the early KFDC years (it’s old, but still relevant, as the program is very much the same, although the name has changed). Sessions are at 11:30am, 12:30pm, & 1:30pm. Sign-in takes place in the East Building Atrium, starting at 11am. CARE Actor, a Theater Arts Education Company with programs throughout NoVa and Montgomery County, is hosting an Open House. This unique event gives parents and kids an opportunity to experience a “taste” of the creative collaboration that their classes have to offer. Act out a story, play theatre games, and awaken creativity as a family! There will be free activities for all ages, including storytime, face painting, arts & crafts, an improv workshop, and much more! Book Bash is one big party for families in the DC community! A couple of superheroes — Black Panther and Spider Man — will be teaching some karate moves and sharing tales of their adventures! There will also be face painting, crafts, games, food, giveaways for parents and kids, a DJ dance party, and, of course, lots of free books for all ages. While this event is open to the community, it is exclusively geared toward low-income families and families impacted by incarceration. Registration strongly encourage, but not required. The event location is 305 E Street NW. Children aged 6-14 (and their parents) are invited to this free event to learn about the Acton Children’s Business Fair of Washington, DC (Saturday, May 11, in Cleveland Park) and how they can participate. At the Launch Party, children will also discover the “3 Magic Seeds” for starting a business and get tips for making their business a success from other young entrepreneurs. Go here for more information and registration. Join PJ Library in Greater Washington, The Jewish Federation, and their partners and share a volunteering experience with your family. The three hub sites — Bender JCCGW in MD, MILTON in DC and JCCNV in VA — will have a variety of family-friendly projects for children as young as 3. SSL hours are available for older tweens and teens. Or, sign up with a Good Deeds Day 2019 partner. Register here and be a force for GOOD in the world. Join the Marine Band’s “Big Band” as we explore the incredible world of Big Band Jazz in a program that is sure to leave your toes tapping and hearts pounding. The performance will feature music from The Incredibles, as well as other favorites such as “Can;t Stop the Feeling,” “Sing, Sing, Sing,” and “In the Mood.” This 50-minute concert is best suited for kids ages 6-12, but all are welcome. Following the performance, all children are invited to try their favorite instruments in our musical Petting Zoo! The concert, which takes place at Northern Virginia Community College’s Schlesinger Concert Hall, is free and no tickets are required. It will also stream live at youtube.com/usmarineband. Join Chabad Washington, DC, as they re-enact the Exodus from Egypt! Using authentic props, interactive shows, and real bundles of wheat, the Matzah baking process comes alive! Children will go through the entire Matzah making process, from separating the kernals from the chaff, to rolling, perforating, shaping, and baking their very own Matzah! RSVP required — sign up here! * Enter for a chance to win a week of summer camp with RDUTennis! * If you don’t have the sweetgreen app, get it! So convenient, and you get $3 credit with my referral link, not to mention the salads are yummy and healthy. * Just watched and recommend the documentary Chef Flynn. * An interesting perspective on wealth. * Did anyone else follow the Humans of New York Special Olympics series? It was wonderful. Read it with tissues handy.